Hello my lovelies so today I wanted to introduce this awesome sample service for us Curly heads out there. As the weather is getting warmer and the more humidity my curls have a complete mind of there own! They are becoming a little more unruly , major shrinkage, and poofiness galore lol! I love my curls and am trying my very best to embrace them and make them healthier and less damaged. I came across this awesome site called Curlbox and it is a monthly subscription box where you get a variety of items to try for your curly hair. 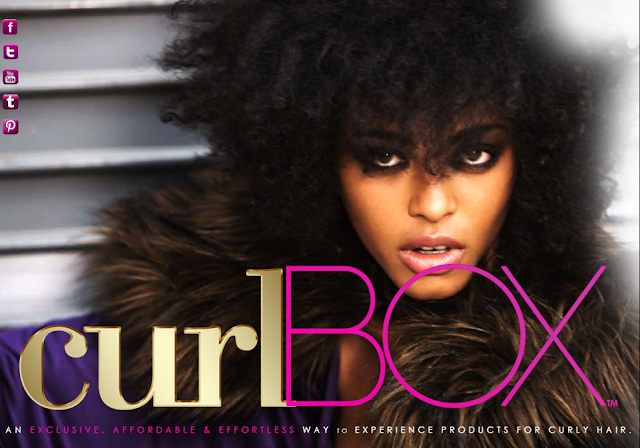 You can check them out on Twitter and Instagram : @curlbox! Now ladies this box is a hot commodity apparently because there is a waiting list! You can get on the list my registering your email and do not wait too long to jump on it. I got my email and that same day the boxes were all out lucky for me I got mine in time! The customer service is great. Tracking is via UPS and they are great to social network with as well. When I got my box I couldnt believe how heavy it was. I did know that May’s box was a little extra special because it was the owners birthday and she put in one of her favorite items inside! As soon as I opened it pretty little gold confetti everywhere. I squealed with excitement! You guys know me now when it comes to packaging lol. Thought this was the cutest little book ever! I’m definitely a type 3b Curl! I cant wait to try some of these goodies on my hair. Eventhough I am a bit unsure if some of these are for my type of curl dont think it will be any harm in trying them out anyway. How did you feel about them adding the Elasta OP Olive Oil Moisturizer in the December 2012 box?